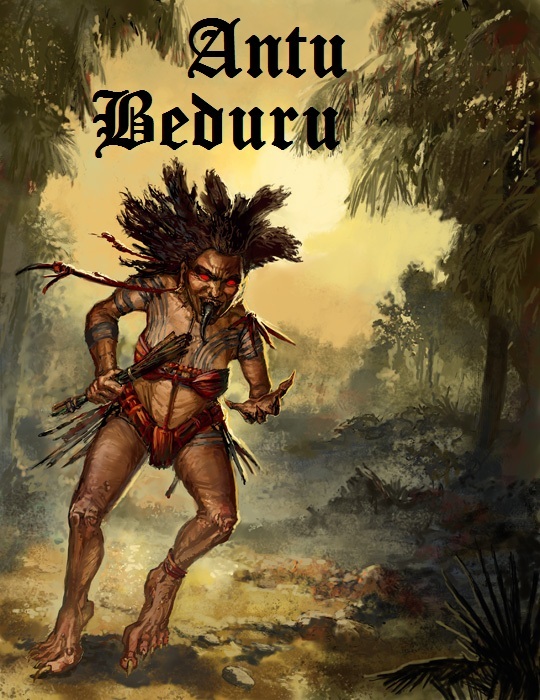 Antu Beduru: WAKE UP DAYAKS! 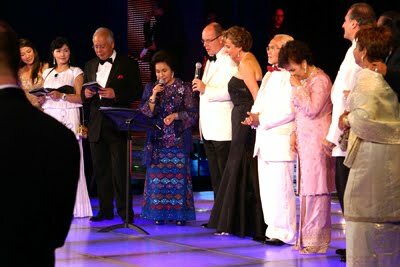 Najib, Rosmah, Prince Albert of Monaco, Prince Taib of Sarawak, Princess Rozie of Sarawak aka Datuk Raziah Mahmud-Geneid (Taib's sister). See for yourself. Najib and Taib on the same stage at the Islamic Fashion Festival at Monte Carlo, Monaco, on 10th August, 2010. See the EVIDENCE. More EVIDENCE. Damning EVIDENCE. Away from prying eyes in Sarawak, our princes and princesses live the high life on the international stage. Do you know who sponsored the event? And you wonder why Najib kowtows to Taib? All Taib has to do is tell his Sarawakian BN parliamentarians to remove their support from BN and Najib's government will fall. It is as simple as that. Taib has Najib by the balls. So who is more powerful? Taib or Najib? Who then really is the most powerful man in Malaysia? Topple Taib and you topple BN. But you cannot topple Taib because he is too smart for you. The Dayaks have been played by him for years. He has divided us and continues to keep us at each others' throats. As long as the Dayaks are not united, Taib remains the most powerful man in Malaysia. What is Taib's latest strategy? Disunite the Dayaks further by planting the seed of 'anti-Malayanism'. Simple. Brilliantly simple. Some Dayaks have bought into the 'anti-Malayan' strategy because they don't use their brains. We Dayaks are by nature an emotional race ruled by our sentiments. We engage mouth before we engage brain. And crafty old fox Taib knows that, and uses that to his advantage. It has been so easy for him to capitalise on our sentiments. Divide and rule. Taib's cyber-troopers have been covertly and subtly planting the seeds of anti-Malayanism in our minds and we buy it. Examples: The facebook group Sejarah Sarawak and the blogs Sebanaku Sarawak and Beraiku Sarawak. This facebook group creates and instills patriotism for Sarawak while the blogs' main purpose is to defend Taib's position as leader and incite anti-Malayan feelings. The facebook group is administered by a young lady from PBB Wanita and the blogs are administered by the PBB cyber-warfare team, mostly PBB Youth. These people get paid. First, they gain your trust by whacking the BN. Then slowly, they introduce their poison. Old trick. But the Dayaks swallow hook, line and sinker and follow like cows pulled by the nose. This is the TRUTH! Why create anti-Malayan feelings? Simple. Except for SNAP, all the other members of the Opposition coalition (Pakatan Rakyat) are from West Malaysia. By creating anti-Malayan feelings, the Dayaks will begin to distrust these parties. This distrust germinates into power struggles and in-fighting which then creates disunity and chaos in Pakatan Rakyat Sarawak. And a chaotic and disunited Opposition is a weak Opposition. And this is EXACTLY what Taib wants. Taib wants the Malays and Dayaks to reject anything West Malaysian, including UMNO, so that he alone can rule Sarawak. By buying into his anti-Malayan strategy, you are giving Taib EXACTLY what he wants. What about Borneonisation? Same thing. This is also part of the strategy. Let's be honest and realistic. Sarawak will never be able to secede out of Malaysia. Independence is a dream we all have but it will forever remain a dream. And we Dayaks are fond of dreaming. Taib knows that. That is why his spies planted a deliciously seductive dream: Borneonisation. Keep the Dayaks dreaming. That is Taib's strategy. Distract them from political realities and feed them sleeping pills called Borneonisation and anti-Malayanism. We Dayaks are very good at talking. Taib knows that. But we are not very good at doing. Taib knows that too. Let me ask you: Is there any political party in Sarawak that has openly championed Borneonisation or listed independence as part of its manifesto? Any? None. Why? Because in the real world of politics, independence is simply not an option. So stop dreaming! Wake up Dayaks!!! Spit out the sleeping pills Taib has been feeding you through his spies and operatives. Once you have woken up, ask yourself: "What option have I got?" So what if PKR, PAS and DAP are from West Malaysia? The simple reality is that Sarawak will always be a part of Malaysia and we need to wake up and see the political reality and work within the system. This is the reality: Sarawakians must stop fighting each other, unite under the banner of PR and topple Taib. Focus on the goal. Focus on the big picture. Don't fall into Taib's trap and swallow his sleeping pills. Kick Taib out. And the only way you can do that is to vote him out. Which means stop all this anti-Malayan and Borneonisation nonsense and give your undivided support to the West Malaysian parties. Topple Taib first. And then we talk about Borneonisation. Don't fall into the trap of the talk of a THIRD FORCE. Again, we need to focus on ousting and toppling Taib first. Very simple. Unite, vote him out. If we cannot even do something as simple as this, you think we can unite to form a THIRD FORCE? Kick Taib out first. Then we talk about Third Force. For now, let Raja Petra Kamal lead the charge on the Third Force. When Sarawak is ready AFTER we have kicked Taib out, then we join him and his Third Force. Don't water down our focus with too many issues. Translate your cyber enthusiasm into REAL politics. Talking on facebook is one thing, but translating it into political reality is another. What have you done to educate and inform the rural folks? Have you printed out Sarawak Report and shown them to your relatives back home? Dayaks - stop dreaming, wake up! Now is your chance to topple Taib. No point shouting so loudly on facebook and blogs but doing nothing in the real world. As for Pakatan Rakyat Sarawak (PKR, SNAP, DAP and PAS) - get your act together lah!!! How do you expect people to support you if you don't give them confidence? 1. Aunty Hafsah Harun, time you retire lah and jaga cucu. 2. Uncle Edwin Dundang, give way to the younger generation lah. 3. Uncle Jimmy Donald, focus on writing your books. Read Iban version: Angkat Dayak! Dani agi!! excellent entry. Hope for Sarawakian to make change.